The People’s Committee of Long An Province in the Mekong Delta, the Ministry of Information and Communications and the Vietnam Postal Corporation launched a special stamp to mark the 100th birth anniversary of Professor Tran Van Giau on September 6. A new stamp commemorates the 100th birth anniversary of Professor Tran Van Giau. 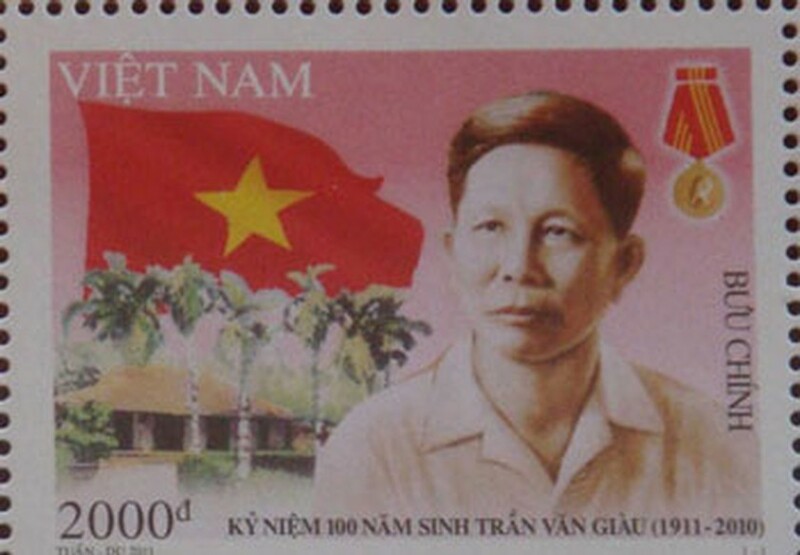 The bright and colorful stamp features a portrait of Professor Tran Van Giau with the national flag in the background. The house where the professor once worked during the war was the former headquarters of the Southern Regional Party Committee. 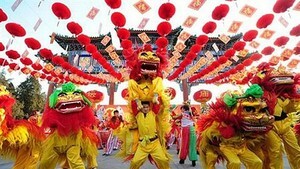 Today it is a historical site in Long An Province in the Mekong Delta. The professor also won the Ho Chi Minh Medal in recognition of his lifetime devotion to a revolutionary and educational cause. Historian and Professor Tran Van Giau was also granted titles of People’s Educator and Labor Hero. Born in Long An province in 1911, the professor went to France when he was only 20 years old. He was expelled from France in 1930, after he took part in a protest rally in front of the French President’s palace, demanding the removal of the death penalty for Vietnamese revolutionary soldiers back home. He later joined the Vietnamese revolutionary forces to fight against the French. The professor is widely known for his large volume of over 150 social science research works published as reference material. He also made a lasting and significant contribution to the national education system, particularly to tertiary education. The Professor passed away in 2010.